One of the most amazing migrations on earth is taking place right now, as 20,000 gray whales make their way along the Pacific Coast of North America from Baja to their summer feeding grounds in the Bering Sea – a one-way journey of 6,000 miles! 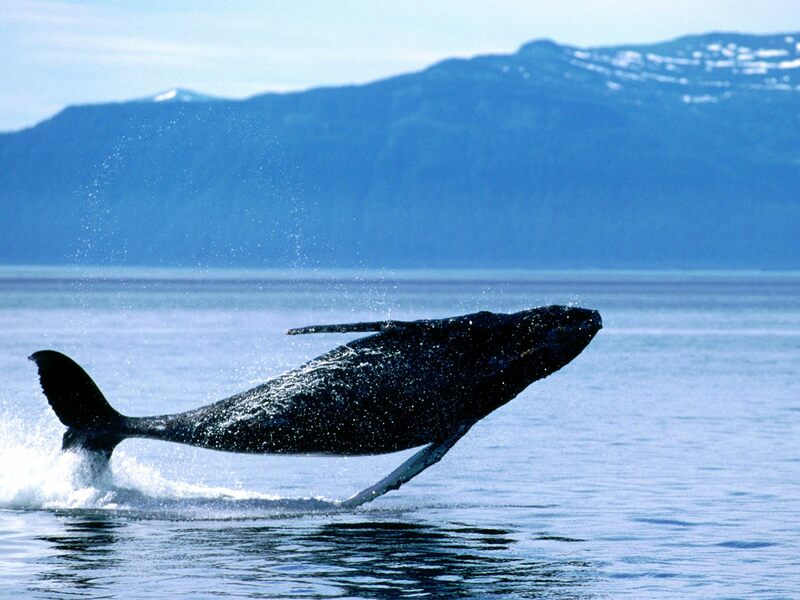 You’ll find grays and humpback whales alike congregating right now in the protected waters of the Inside Passage, especially around Point Adolphus in Glacier Bay National Park and in Chatham Strait. And while most grays head farther north, many humpbacks spend the summer in the sheltered waters of the Southeast, frequently on display to the visitors who watch them from boats and kayaks. Southeast Alaska is among the world’s best places to watch whales, but there are plenty of others, too. Check out one of these destinations for your next nature adventure among the ocean’s charismatic leviathans! After feeding in Alaska all summer, Pacific gray whales head southward again. Hundreds come to San Ignacio Lagoon on Mexico’s Baja Peninsula to breed and give birth to babies that arrive weighing a ton and measuring 14-16 feet long! Friendly and curious, they will often swim within arm’s length of a skiff, and the mothers seem to enjoy presenting their offspring for a close look. 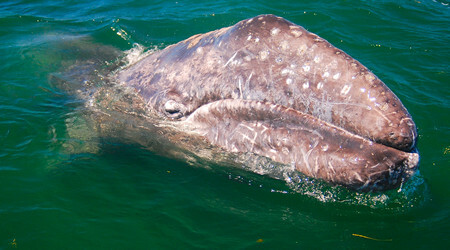 See them on Nat Hab’s Whales of Baja trip in the early spring. On the opposite side of the Pacific, the small coastal town of Kaikoura on New Zealand’s South Island is famed for its year-round population of sperm whales. These giants congregate here for the superb feeding conditions that occur around a deep trench in the ocean where colliding warm and cold currents force an abundance of nutrients to the surface. Several species of dolphin are also attracted to the area, including the world’s smallest and rarest, the Hector’s dolphin. Take a whale-watching cruise from Kaikoura on Nat Hab’s New Zealand Explorer trip. This windswept promontory in Patagonia is best known as the protected nursery grounds of the gentle Southern right whale. In two sheltered gulfs that straddle either side of the peninsula, these enormous baleen whales mass by the hundreds to breed, calve and rear their young during the southern winter and spring (June to November). Visitors during this season are also treated to the spectacle of thousands of noisy elephant seals that likewise mate and nurse their young on the gravel beaches along the outer coast of the peninsula. Paddling a sea kayak allows a nearly eye-for-eye vantage point with the whales. Any parent of young children today knows Canadian folk singer Raffi’s charming song, “Baby Beluga.” And beluga whales really are charming. These rotund, docile white cetaceans bunch up by the thousands at the mouth of the Churchill River each summer, where it empties into Hudson Bay in northern Manitoba. On Nat Hab’s far-north adventure, Churchill: An Arctic Summer, visitors meet belugas up close and personal in motorized rafts. You may see Arctic fox, caribou and even polar bears on shore, too! Another year-round whale population resides in the San Juan Islands, the rocky, forested archipelago lying between Washington state and British Columbia. Known to many as “killer whales,” these handsome black and white marine mammals are actually orcas, and they aren’t whales at all: they’re the world’s largest species of dolphin. These pods have a specialized diet, feeding entirely upon the Chinook salmon that inhabit these waters, though whose runs are threatened by a number of environmental challenges. 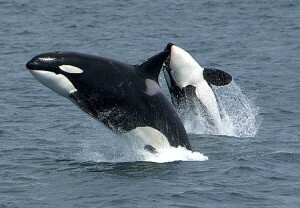 Visitors can observe orcas cruising through Haro Strait from Lime Kiln State Park on San Juan Island. Or, view them by boat and kayak on Nat Hab’s Discover the San Juan Islands itinerary. The whales are awesome.. I love them..